At Financial Life Plans, we are passionate about the opportunities we have to make a positive impact on your life. We have tailored our practice to offer what we believe are unique benefits that separate us from the average firm. We lead the way as you travel down your financial path. We seek to curate the best possible investments based on your comfort level and risk tolerance, and we guide decisions based on what you want. As financial advisors, we play a role in your life’s most meaningful moments. You trust us to assess your needs, understand your concerns, and offer the most relevant recommendations to address your unique situation. We do not take your trust lightly and strive to earn it every day. 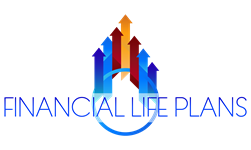 At Financial Life Plans we are supported by a network of premier partners, who bring strength, stability and security to strategies that are designed to work for today and tomorrow. All with one goal in mind — your success. We are affiliated with Royal Alliance, an independent wealth management firm that provides us with back office, technology, regulatory and operational support. Founded in 1969, Royal Alliance is driven by a strong philosophy that independence is key to fulfilling sound investment decisions. Our affiliation with the firm empowers us to put your interests first with objective, carefully considered offerings — with no obligation to promote any particular investment. Royal Alliance is part of Advisor Group; one of the largest networks of independent wealth management firms in the country, serving over 5,000 advisors and overseeing approximately $190 billion in client assets. We have access to the comprehensive services and resources of a national firm while providing the flexibility, warmth, and focus of a community practice. We will listen to what's important to you about money and life With your guidance, we will build a sustainable plan to achieve your goals. We will monitor your plan and investments and communicate often and transparently about your progress. When life presents challenges, we will help you and your loved ones get through those challenges. We settle for nothing less than client service excellence. Beyond providing financial planning, investment management, and insurance services, we help you make decisions, provide clarity, and ensure you are comfortable with where your roadmap is leading you. We make a lifetime commitment to every client we serve, treating you like a member of our family.